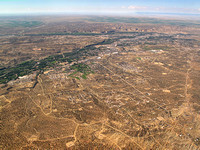 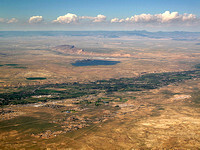 Description: The Four Corners area is an industrial energy zone with a legacy of pollution from two of the most polluting power plants in the country, the Four Corners Power Plant and the San Juan Generating Station and tens of thousands of existing and projected natural gas wells in the region. 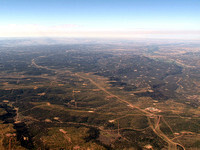 With the increased recognition of the impacts of carbon dioxide (CO2) as a major contributor to climate change and the formation of the New Mexico Climate Change Advisory Group, it is imperative that CO2 emissions be reduced in the Four Corners region. 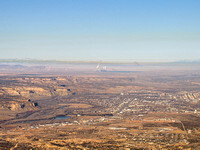 Existing CO2 emissions in the Four Corners region include 15.6 millions tons per year (tpy) from the Four Corners Power Plant and 13.4 million tpy from the San Juan Power Plant for a total of 29 million tpy of CO2. 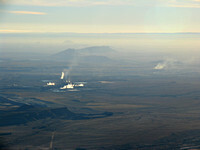 Four Corners ranks as number 4 in the top ten Western Coal-Fired Electric Utility Steam Generating Power Plants for CO2 Emissions, while San Juan ranks as number 8.